Capture Email addresses with this easy-to-build App for Facebook and the web. All TabSite users from free plans on up have access to embed the email sign-up code offered from Constant Contact, Delivra, and Mail Chimp. At the Platinum Plan level, any e-mail software sign-up form embed code can be used including Aweber, Vertical Response, iContact, Salesforce.com and more. Can't find your email provider? With our Gold and above plans you can embed from any service including Aweber, iContact, Salesforce, and more. Simply use their web embed code. 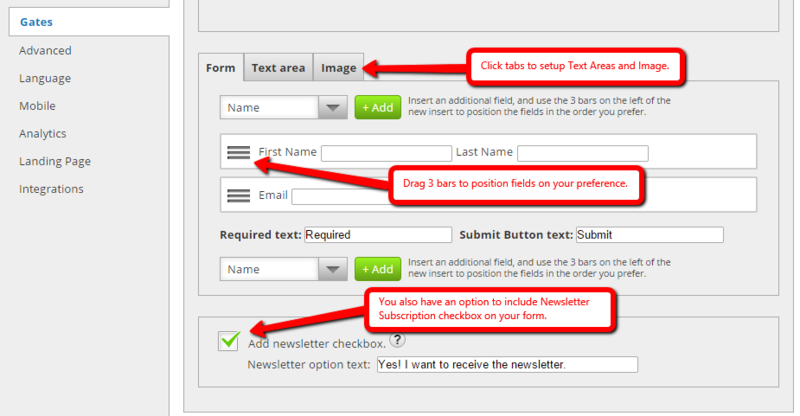 The first sub-setting in the list of the Promotion Tools is the Social Sharing Options. In this section, you can share the app to various social media networks such as Facebook, Twitter, Google+ and Pinterest. It is up to you whether where you want to place the app, may it be located at the top, bottom or both. 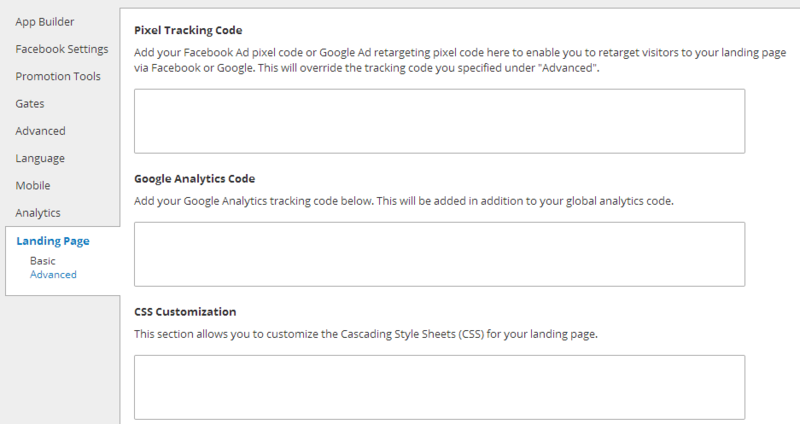 The eight and final setting for the Email Sign-Up App is Analytics. It provides you information on what time and day the app traffic performs better or not. It has various graph representations with the following categories: Overview, Facebook Views, Web Views, Mobile Views, Microsite Views, Shares and Likes. When you are finally through with all the changes, you can save all the settings by clicking the green "Save" button positioned at the bottom-right corner of the page. You will be directed to the My Apps area after you press the "Save" button. All the apps you have created can be found here. In line with your Plan Features, you can simply create, test and publish the apps. To implement the details of publishing the app to different social networks, simply click "Publish."